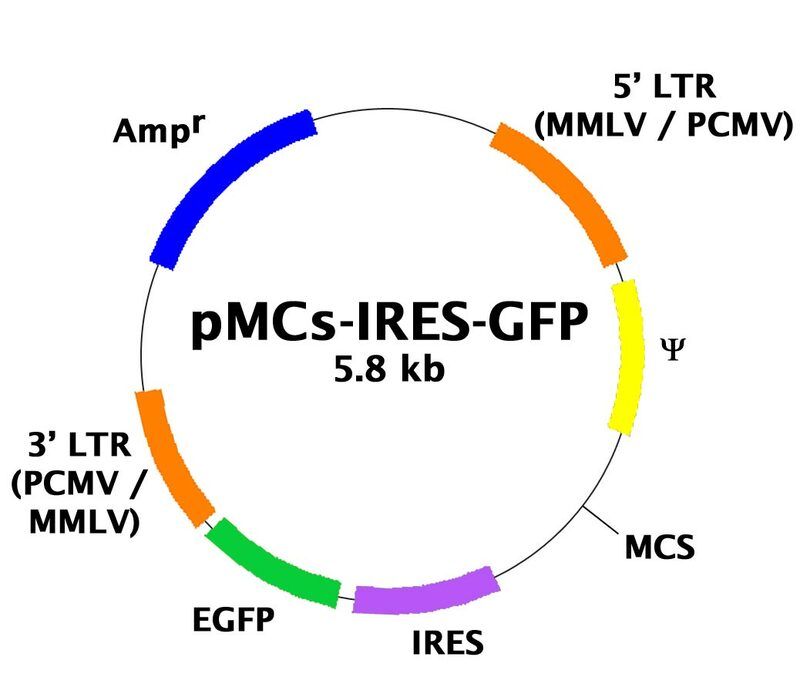 pMCs-IRES-GFP Retroviral Expression Vector | Cell Biolabs, Inc.
Muramatsu, D. et al. (2016). Pericentric H3K9me3 formation by HP1 interaction-defective histone methyltransferase Suv39h1. Cell Struct. and Funct. doi:10.1247/csf.16013. Zhao, C. et al. (2016). Mice lacking the intracellular cation channel TRIC-B have compromised collagen production and impaired bone mineralization. Sci. Signal. doi:10.1126/scisignal.aad9055. Nakaya, Y., et al. (2014). Efficacy of NS-018, a potent and selective JAK2/Src inhibitor, in primary cells and mouse models of myeloproliferative neoplasms. Blood Cancer J. 4: e174. Malicet, C. et al. (2011). Distinct Properties of Human HMGN5 Reveal a Rapidly Evolving but Functionally Conserved Nucleosome Binding Protein. Mol. Cell. Biol. 31:2742-2755 (#RTV-040).